The Obama administration has authorized the Department of Energy (DOE)’s loan guarantee program to make $4.5 billion available to EV charging station building companies in hopes of building a national network of stations. Those who worry about taking electric vehicles (EVs) on long trips due to scarce charging infrastructure may not have to worry much longer. The Obama administration has authorized the expansion of the Department of Energy (DOE)’s loan guarantee program to include companies building EV charging stations, Bloomberg reports. Announced on July 21, the DOE will make $4.5 billion in loan guarantees to support the creation of a vast network of EV charging stations across the country, according to Yahoo! Tech. The administration hopes to have this coast-to-coast network deployed by 2020, Bloomberg reports. Such a network would relieve EV owners of their “range anxiety” and allow them to make long-distance trips in their EVs without worrying about running out of power, according to Bloomberg. The expansion is also a move to increase EV sales, Reuters reports. To aid in this initiative, the administration also announced collaborations with nearly 50 industry organizations to build upon the infrastructure, a news release from The White House announced. These companies include vehicle manufacturers such as Ford, energy companies like Berkshire Hathaway Energy and even the states of California and New York. “By working together across the federal government and with the private sector, we can ensure that electric vehicle drivers have access to charging stations at home, at work, and on the road,” the White House said in the release. 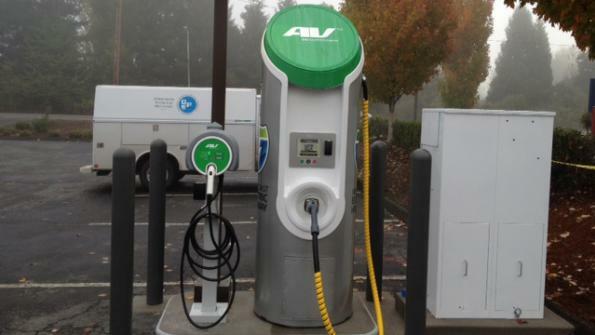 The administration has also offered to help state, county and municipal governments procure EVs for their fleets in order to maximize buying power, according to the release. “In doing so, governments at all levels can lower their procurement costs, expand technology availability, and increase automotive manufacturers' demand certainty,” the White House said in the release. EV charging stations have increased from 500 in 2008 to over 16,000 today, according to the release.